What is the first thing that you see when you wake up in the morning? Apart from your spouse or partner and the furniture scattered around your bedroom, it is undoubtedly the mattress lying beneath you. But wait, not always you are full of beans after a night on the bed cushions, are you? Buy the wrong mattress or imbibe the wrong sleeping habits; your much-coveted resting zone would become the source of pains and aches all over your body. 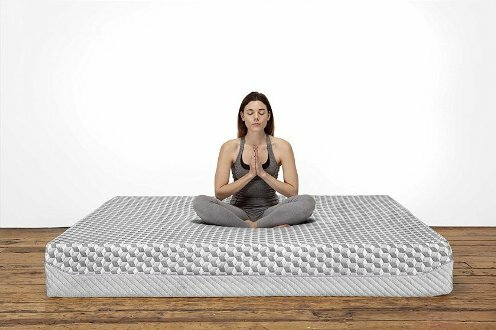 Naturally, most people look to buy the best mattresses for back and hip pain online as well as from brick and mortar shops, so as to keep those thorny issues at bay. Then again, how can you tell that the body aches that you have been experiencing are originating from the bedding that takes you to the land of dreams? Look for the pointers mentioned bellow and you will have the basic navigational tools to comprehend whether the genesis of your back aches lie in your bed mattress or not. Those who experience chronic pain at their back are often at a loss to explain their back and hip pain history, including the frequency, intensity and inception of the pain. You don’t have to fret and get all worried if you are one of them. Only, do care to remember if you feel the pain as soon as you wake up in the morning. If a bout of stretching and moving your legs, hands and torso relieves you of the aches, you can be quite sure that the culprit is indeed the mattress placed on your bed. You may feel uncomfortable throughout the day, but the no-show of the pain at other times of the day would point towards the bedding as the guilty party. Most of us have a settled pattern of sleep. Some people are able to have a sound sleep while others make do with hours of mild sleep, interspersed with moments of wakefulness. However, if you find yourself tossing and turning throughout the night and feel shooting pain all over your body the next morning, you can be rest assure that something is wrong with your mattress. If you find any of the two above-mentioned issues pestering you, consider a change of your bed mattress.